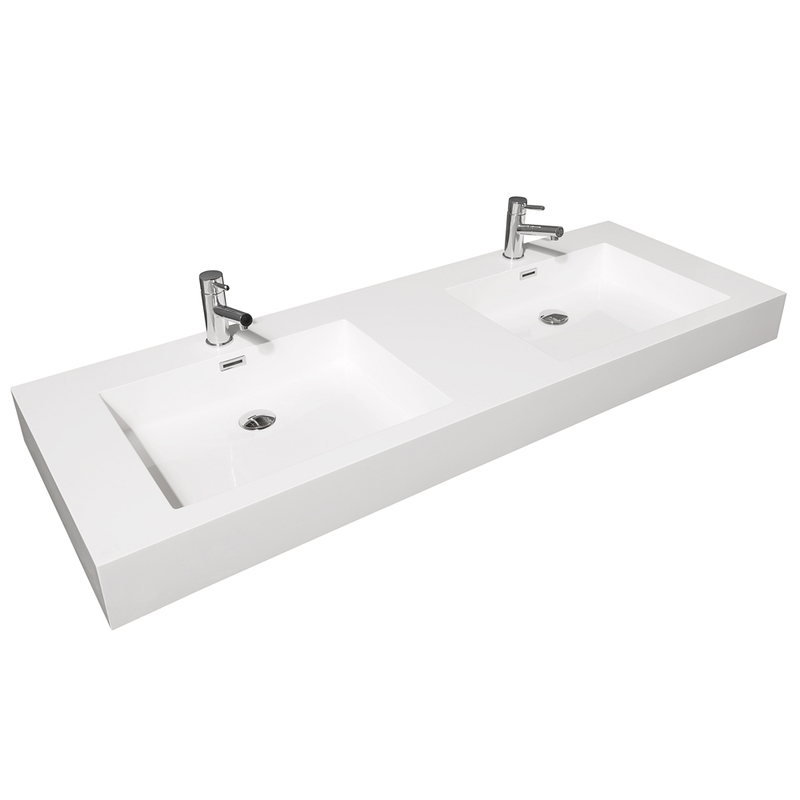 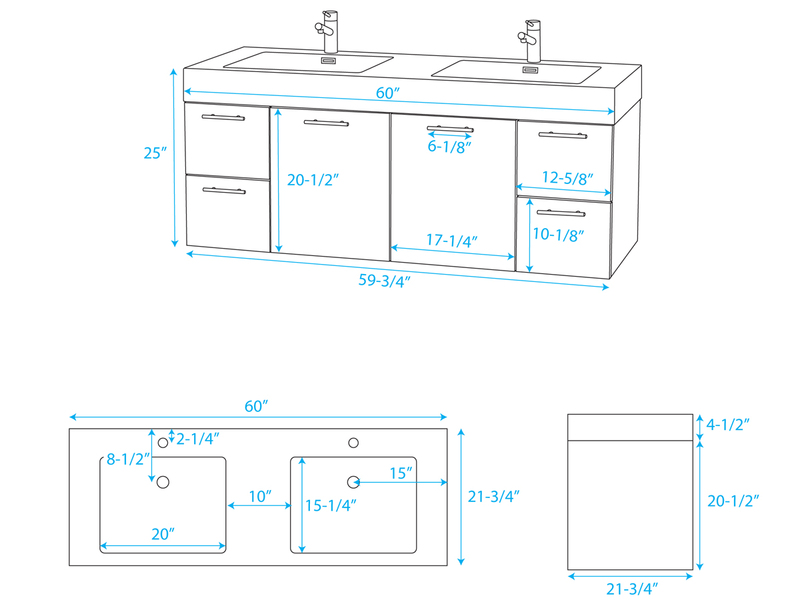 The 60" Amare Double Sink Vanity provides all plenty of storage space without taking up all the floor space! 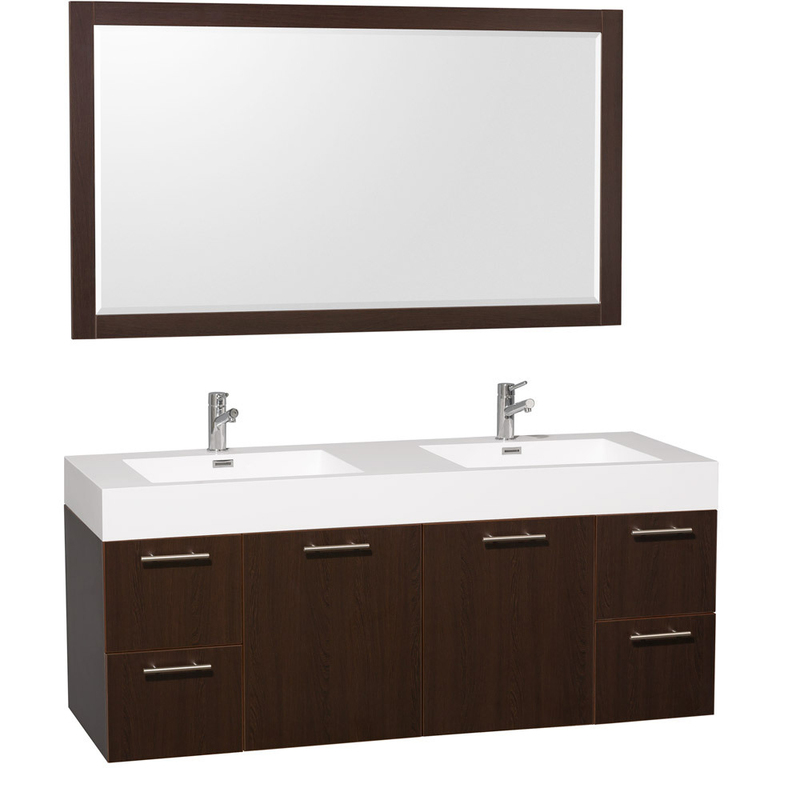 Featuring a beautiful wood frain exterior finished in an Espresso, this vanity boasts an acrylic resin integrated sink top. 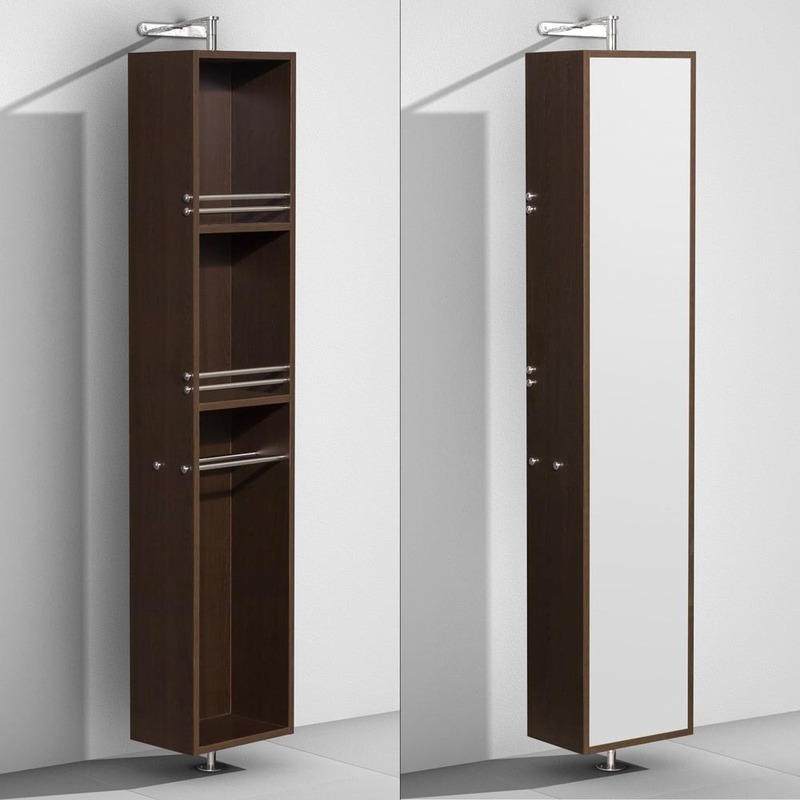 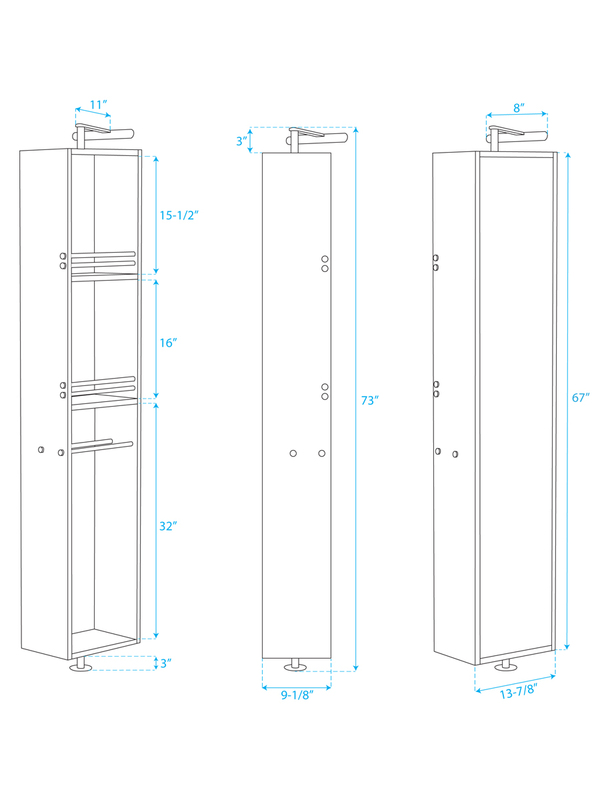 It offers a large double-door cabinet that's accompanied with four spacious drawers for housing all your bathroom necessities. 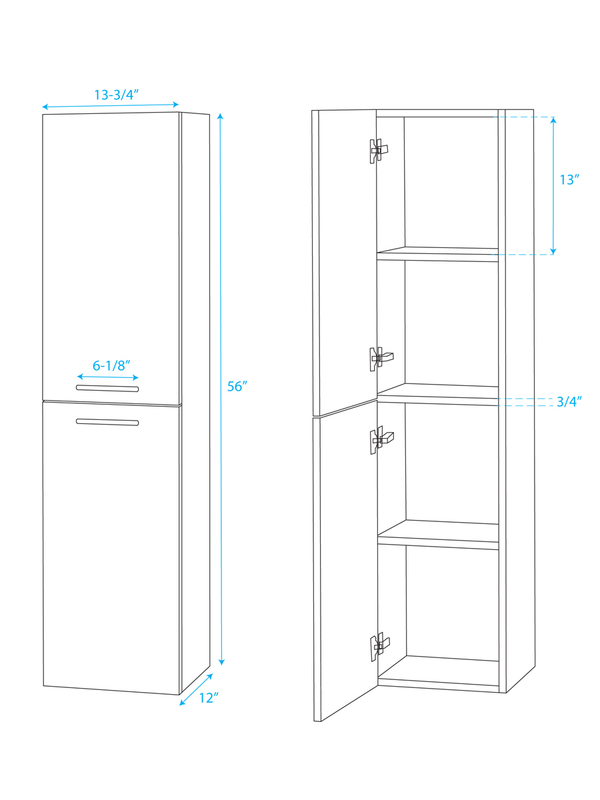 Each drawer and cabinet door is equipped with soft-closing slides and hinges, respectively, so that you'll never have to hear another slammed drawer or door again. 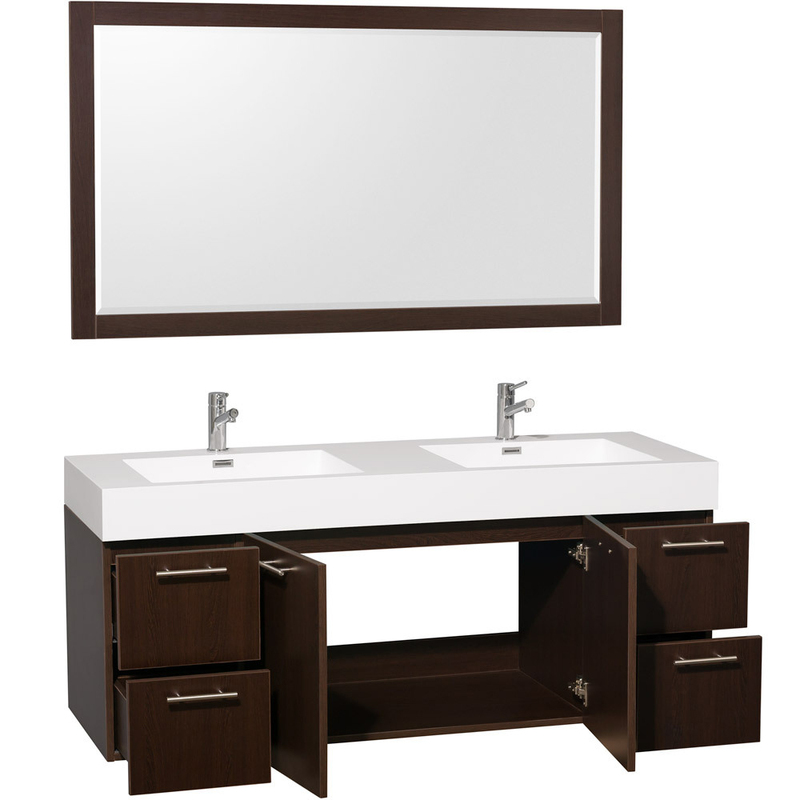 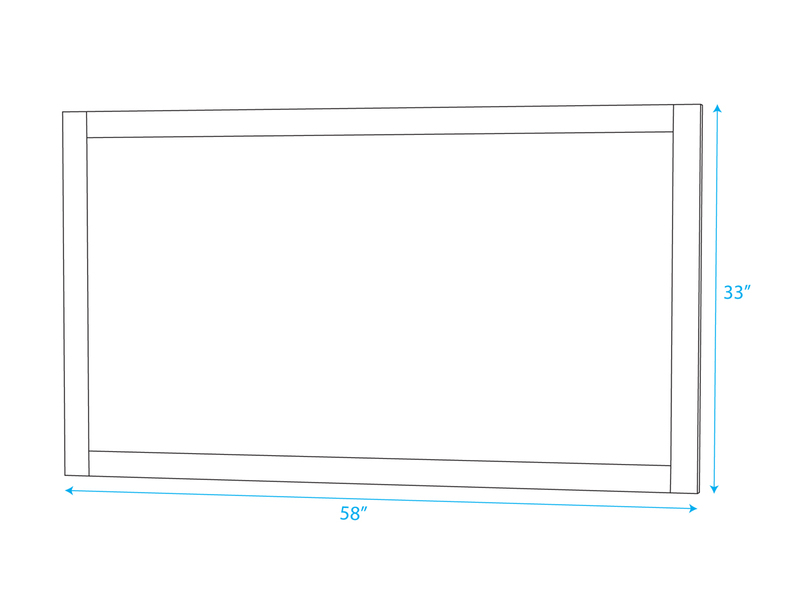 A large matching mirror is also included to give your vanity a beautifully functional accent. 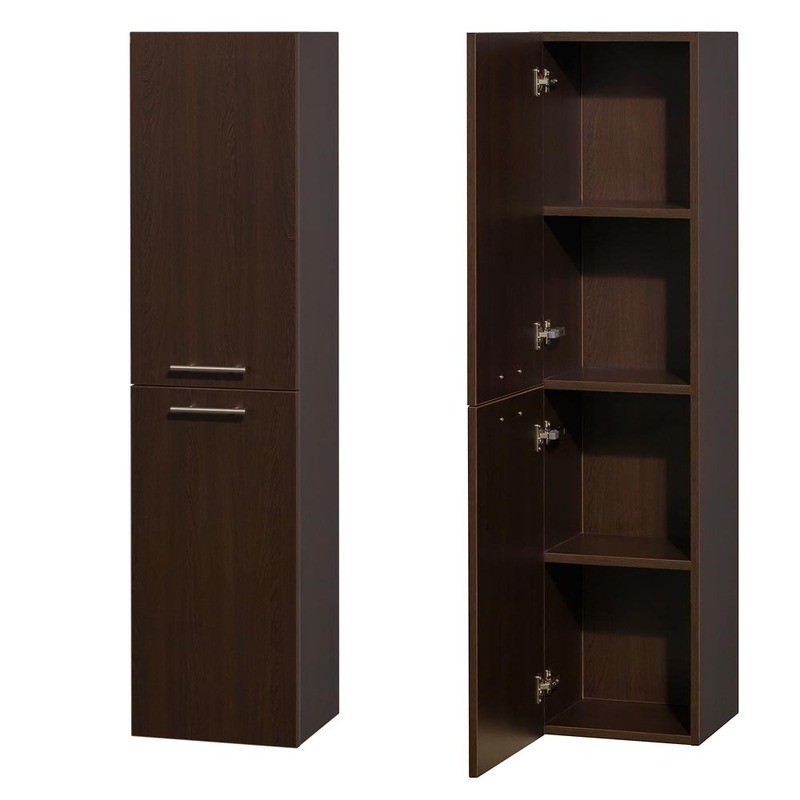 Add any of the two optional storage options for additional storage room.